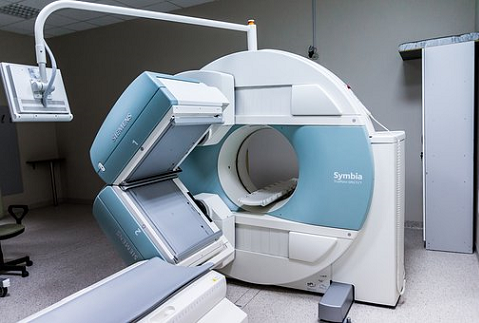 Magnetic Resonance Imaging (MRI) is a non-invasive medical imaging procedure done to get a clear image of the inside of the body without going under the knife. MRI uses a combination of radio waves, magnetic fields, and electric field gradients to form the images. Doctors use MRI to see the physiological processes of the body and diagnose any medical conditions. Lumbar MRI Scan: What does it do for you? The lumbar area is also known as the lower spine. Several muscles can actually be found in your lower back which is what aids the body to flex and rotate. The lower back also carries most of the body weight that’s why it is vulnerable and more susceptible to injury. Injuries can happen when you constantly lift heavy objects. You’ll get muscle strains which are extremely painful. That’s why you must always be careful and take care of your lower back. To aid in the healing process of your lower back, MRI imaging can help determine the best course of treatment for you. Having an MRI scan of your lumbar region will show your bones, disks, spinal cord and the spaces between your vertebral bones. When do you need an MRI Scan? 1. Back pain with fever. If you suddenly have back pain and suddenly have a temperature above the normal range, then you have got to book an appointment with your doctor. He can diagnose the problem for you but, he will most likely ask you to get an MRI scan first. 2. Injury to your lower spine. When you get a spinal injury due to sports or other rigorous activities, your doctor will ask you to get an MRI scan, so he can treat you properly. The MRI will determine if you need surgery or not. 3. Severe pain in the lower back. If you are experiencing persistent chronic back pain, you must get it checked immediately before it worsens. An MRI scan will get a clear picture of your lower back to see what’s wrong with your body. 4. Problems with your bladder. When you suddenly can’t control your bladder, or you are experiencing painful urination, it may be related to a problem with your spine. An MRI scan can verify if the cause is your lower back or not. 5. Weakness, numbness, or other problems with your legs. When you suddenly lose function of your legs, you must carefully observe it and see if it happens again. If it persists, you must bring it to the attention of your doctor. The sudden numbness or weakness of the legs is a sign of a much worse problem such as sensory-related conditions or cancer. An MRI will help determine the source of the problem. Getting a private MRI scan in London can rule out or easily pinpoint an illness. It is also a good precaution to take so that you can ensure that you are always in good health. Early detection of any problem with your lower back will be an easier fix than waiting for it to get worse.